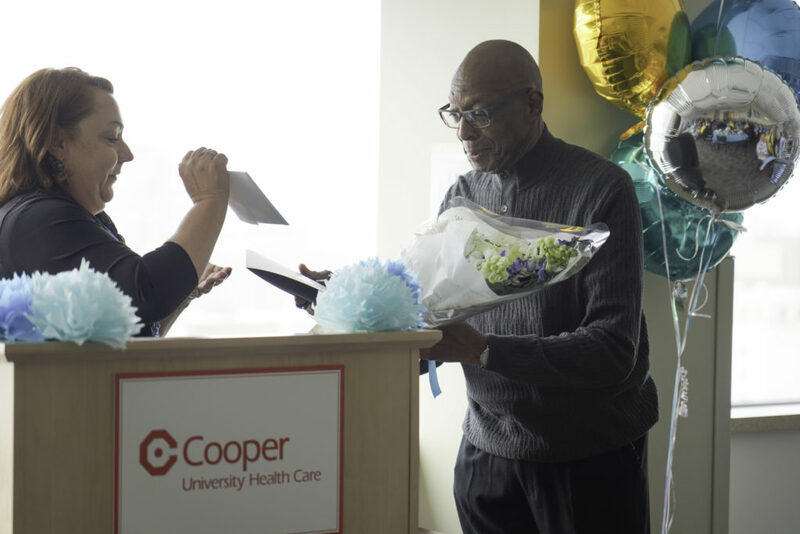 Congratulations to Harold Monroe, of Pennsauken, our 2019 Volunteer of the Year! 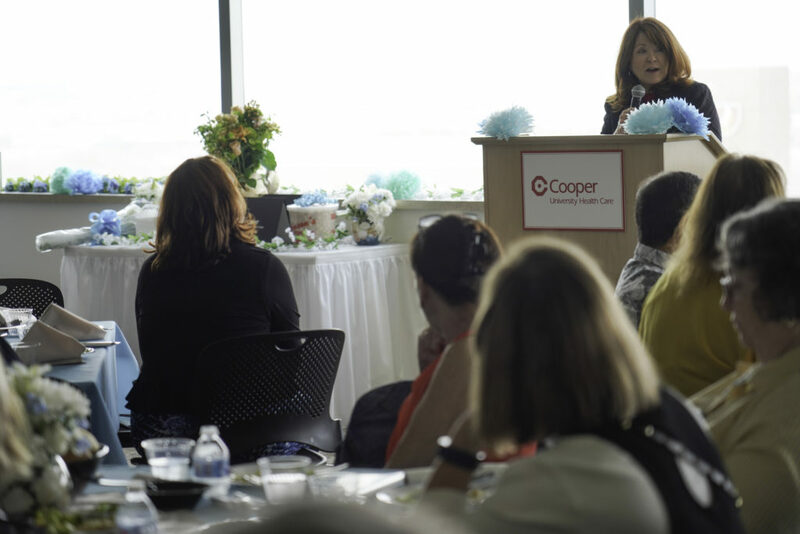 In observance of National Volunteer Month, Cooper University Health Care recognized the hundreds of dedicated men and women who donate their time and efforts to support the hospital’s mission, to serve, to heal, to educate. 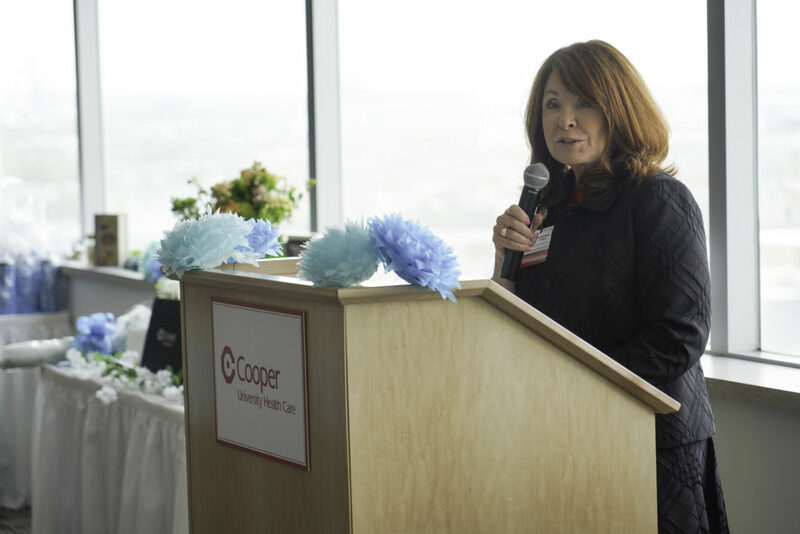 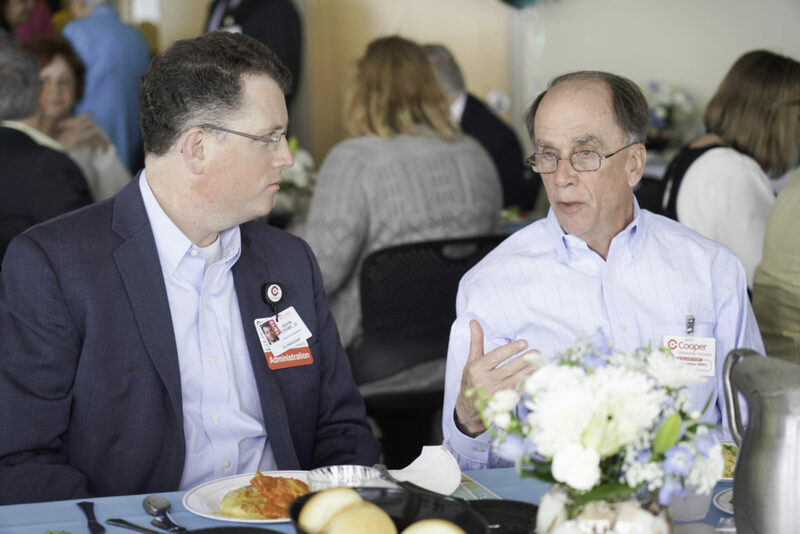 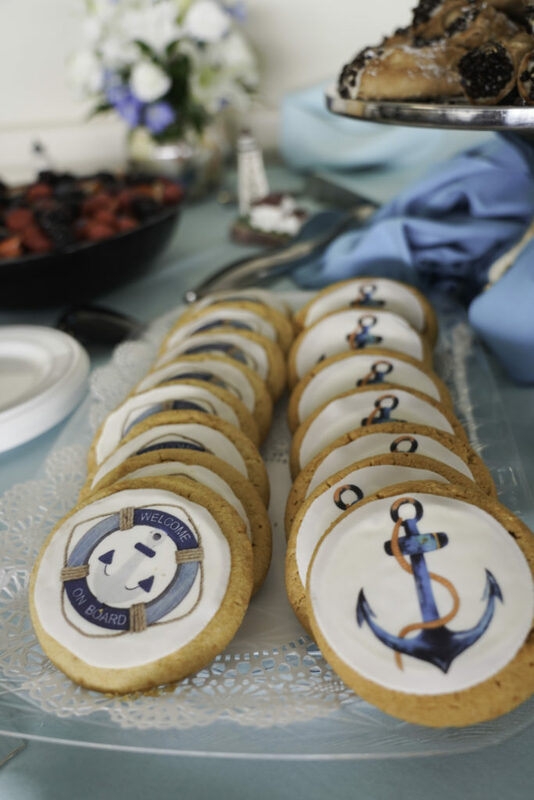 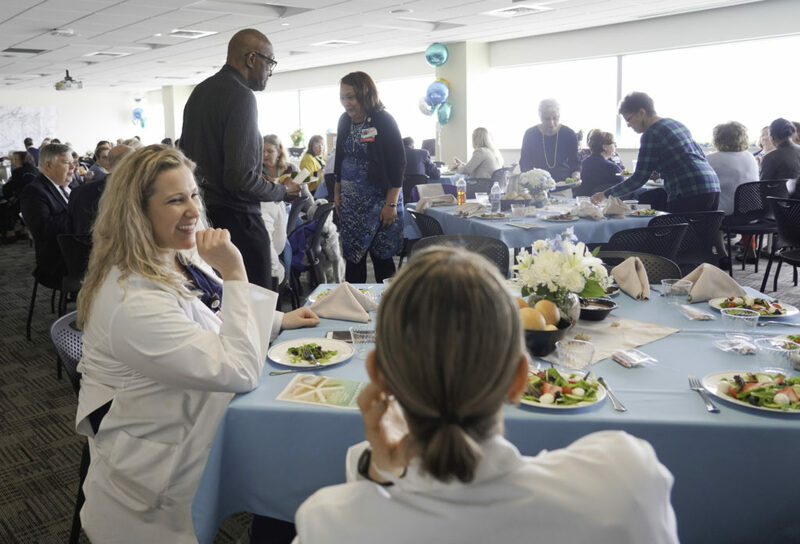 A thank-you luncheon was held on April 9, 2019, to honor 715 volunteers that contributed a total of 56,832 hours of service in 2018. Cooper volunteers are present throughout the organization – helping on nursing units, visiting patients, and performing a variety of tasks in the business departments. 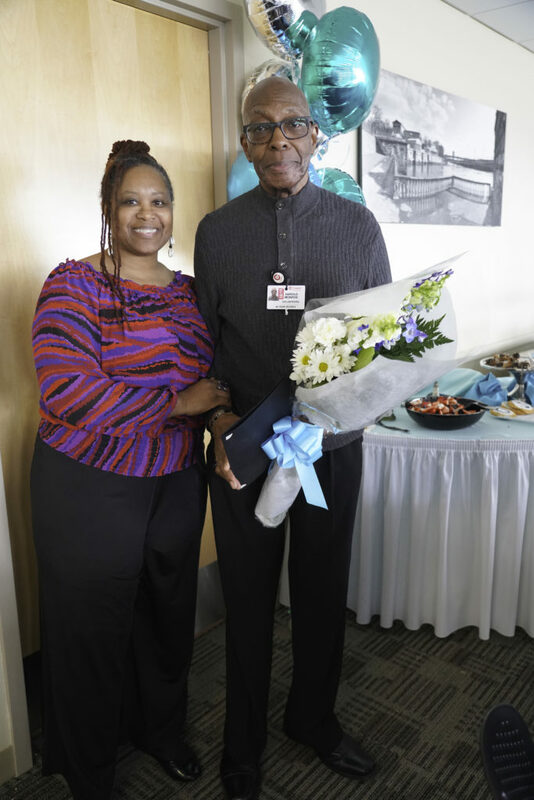 Harold Monroe, of Pennsauken was named Volunteer of the Year at the luncheon. 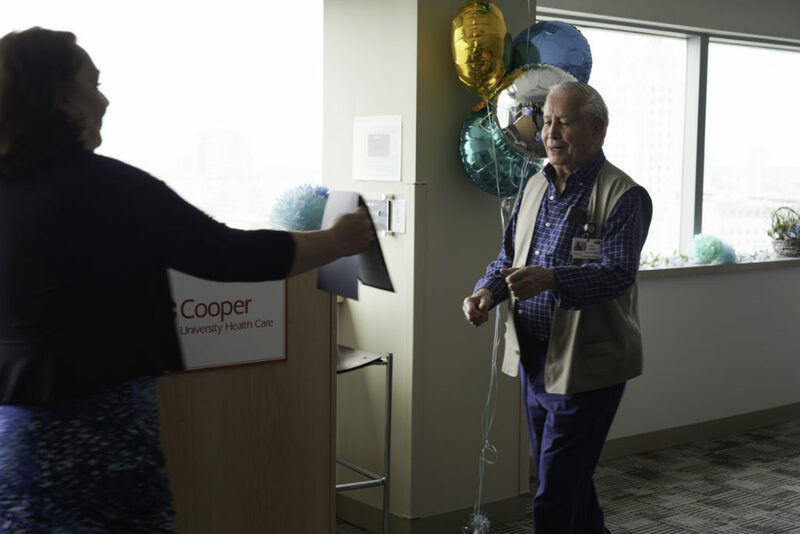 Harold was a Cooper employee for 46 years, retiring in 2004. 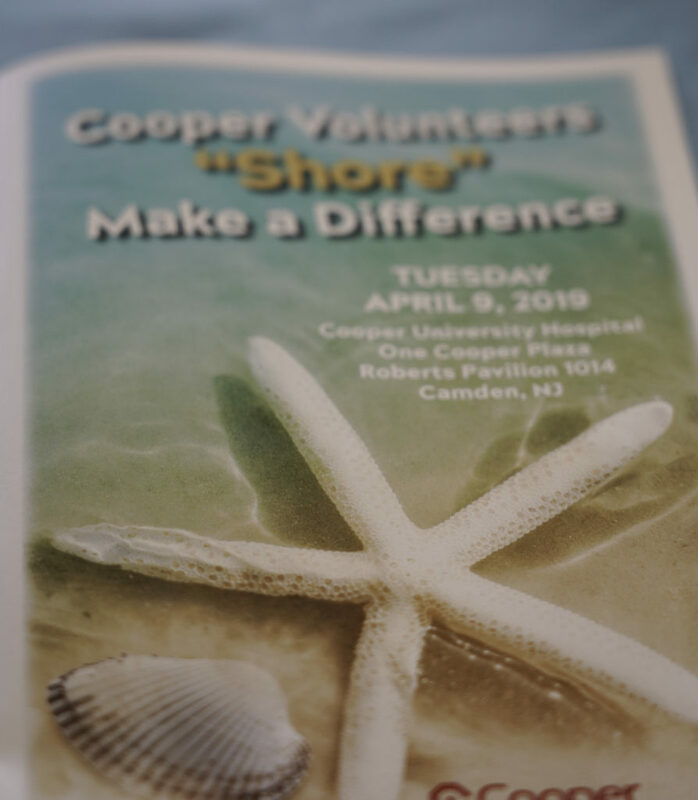 He returned to Cooper in 2006 as a volunteer. 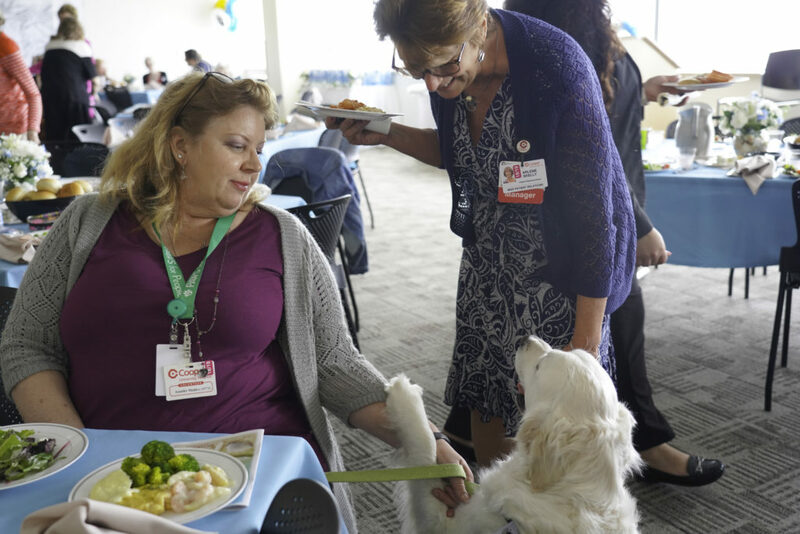 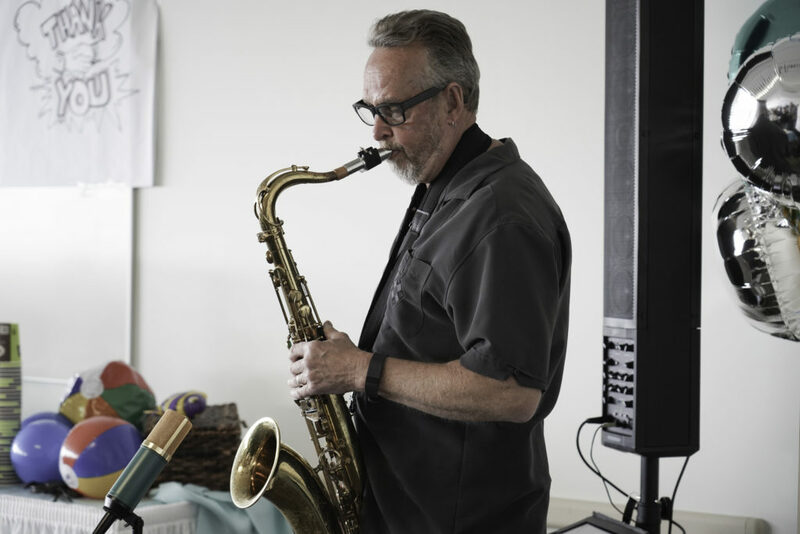 To date, he has volunteered for more than 2,750 hours. 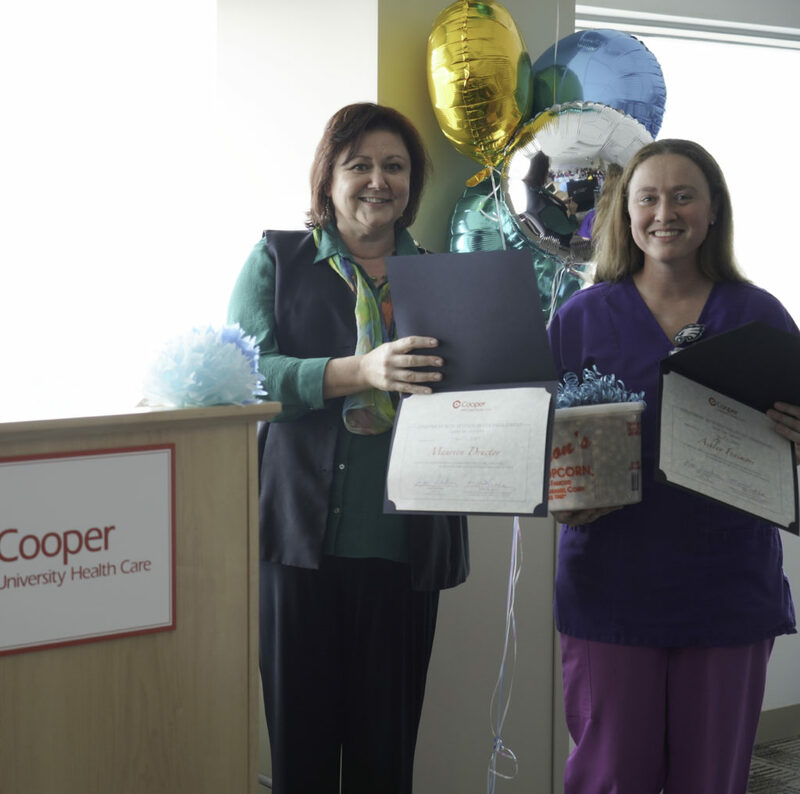 Maureen and Ashley represented Same Day Surgery, which was recognized as the Department with Best Volunteer Engagement. 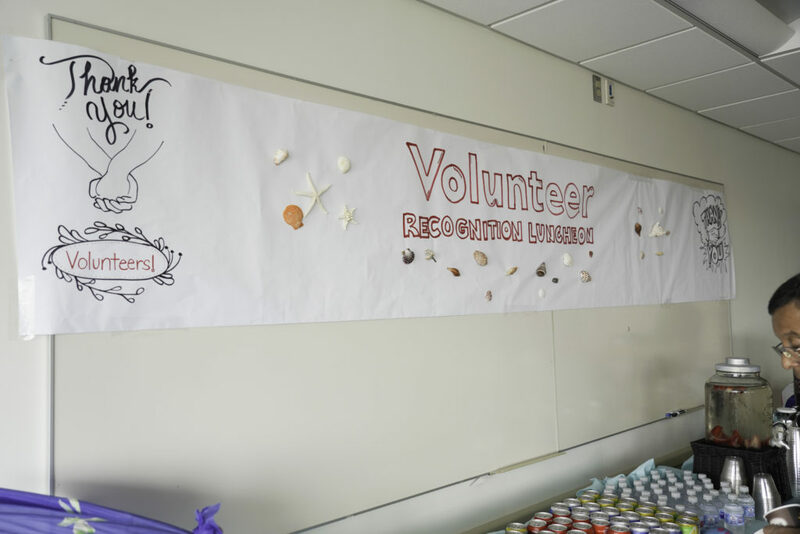 Walt Baker was recognized for having volunteered the most hours in 2018.